 Pragati Polypack is based in Surendranagar, Gujarat, India. Under the guidance of Mr. Umang Shah (Proprietor), the company has touched zenith of success. We, as a respectable Packaging Products Manufacturer and Supplier, have strived hard in bringing forth Virgin Quality Products that too in diverse grades & specifications. The immense growth and appreciation of the company is the result of the modern infrastructure. Our infrastructure comprises of a modern manufacturing & warehousing unit. We have all sets of the latest machinery for smooth & quality production of Packaging Products and Drip Irrigation System. We produce the best quality Packaging and other products, addressing the diverse environmental issues. Our safe and reliable practices speak for our quality system. All our products are made using the best techniques and machinery. Further, these Packaging Materials are well-tested and packed for safe and easy transition. Having a client-oriented approach, the company has surpassed several milestones during its journey. We understand the market needs and clientâ��s priorities before designing and developing our vast product line. Further, we make sure that all the consignments are completed within defined timeframe without any error.